Taylor Cole once again struggled as he allowed three runs on two hits with three walks and a strikeout over an inning against the Rangers Thursday. 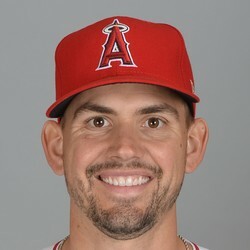 Cole was making his second start of the season after spending much of the year in the Angels' bullpen. He didn't fare much better than his first turn, as he failed to make it past 1 1/3 innings in either outing. He now has an ERA and WHIP of 4.19 and 1.09 on the season.